I wore this on Friday for errands and the drive down to Palm Beach. I did much better on this trip and took outfit photos everyday, so I'll be sharing them over the next few days. I love switching things up from time to time with different photography and The Ritz Palm Beach proved to be a pretty spectacular backdrop (pic #3 is the view from our room). 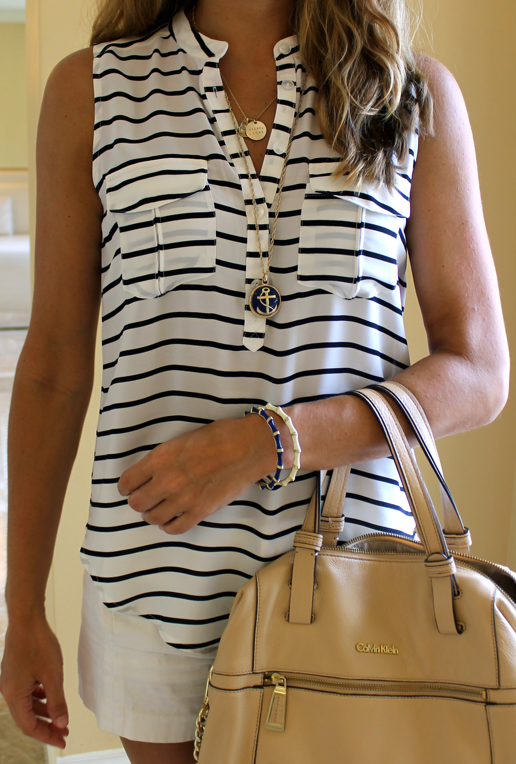 My obsession with all things nautical and anchors continues, as seen in today's outfit. Are you wearing the nautical trend? More info/another outfit with the top here.